Kuala Lumpur, 1 Dec 2013 – Football fans from across the Klang Valley had every reason to celebrate as the football experiential experts, Tiger FC brought their trademark Tiger FC Big Away Game Souled Out, Sri Hartamas on Sunday evening. 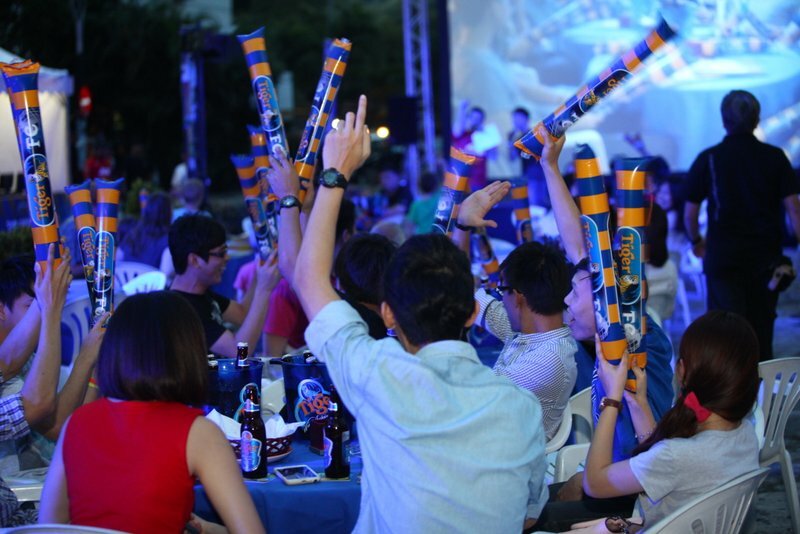 Over 500 true blue footie fans congregated at Souled Out’s terraces for an evening of football action, games and all-round fun. Fans started turning up from as early as 6.00 pm to participate in the array of exciting activities that Tiger FC had prepared for them, including a ‘A Celebration of Goals’ photo wall as well as exciting games with lucrative prizes including the grand prize of a brand new Sony Play Station 4. One of the highlights of the Tiger FC Big Away Game was the introduction of the Tiger FC ‘Wall of Real Fans’, which showcased the emotions and support of Tiger FC’s diverse pool of fans by creating an epic virtual diorama of fans from all across the Klang Valley. Throughout the evening, Tiger FC hosts Fabian Narcis and Jeremy Teo also brought the exciting carnival-like atmosphere to life with their football knowledge and their rapport with the footie fans. 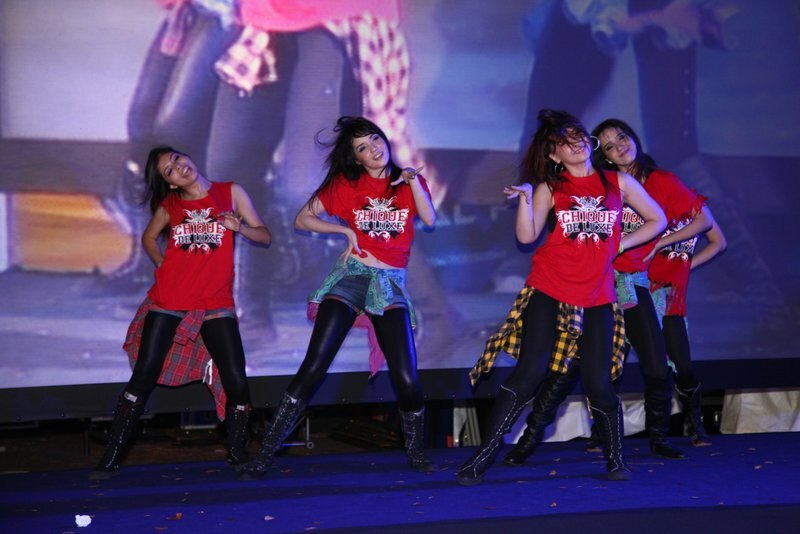 Fans were also thrilled and entertained through dance performances by the “Chique De Luxe” street dancers. 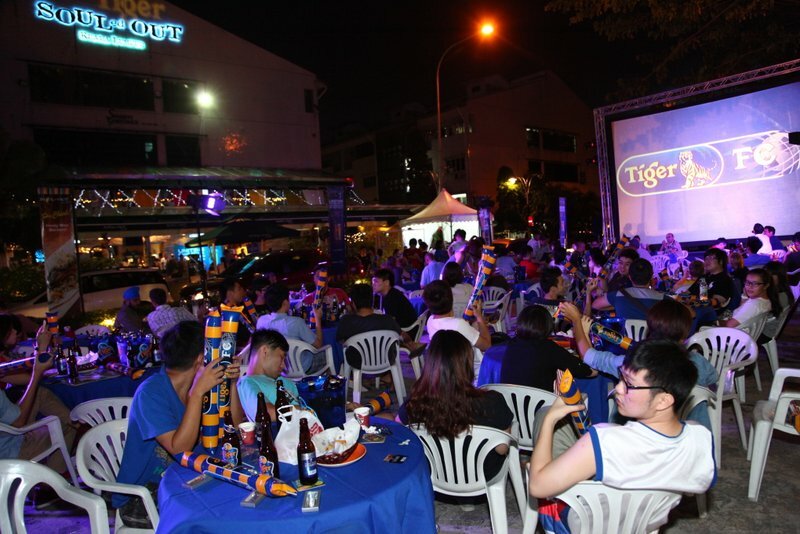 And with so much going on through the night, fans were certainly delighted to be able to enjoy the crisp, refreshing taste of an ice-cold Tiger Beer or the all-new Tiger Radler for only RM 50 per ice-cold bucket of five bottles. Be sure to keep a lookout on Tiger FC’s upcoming events by logging on to the Tiger Beer Facebook page at www.facebook.com/tigerbeerMY today. We’ll see you soon, footie fans! This entry was posted in News and tagged beer, football, GAB, radler, sports, tiger by TheGoodGoodGuy. Bookmark the permalink.